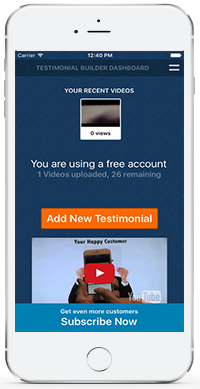 Use our app with your phone to create and share video reviews from your happy service customer. Create and Publish authentic reviews from you customers. Good reviews increase search ranking with Google. Google owns YouTube and uses voice recognition software. Suspend disbelief with real people giving real reviews. When you and your customers share the videos all the friends of friends will see them.